New Delhi: The Central Board of Direct Taxes (CBDT) on Friday was dismissive about the papers which the Congress claimed to be parts of a diary, saying the loose sheets alleging payment of Rs 1,800 crore by former Karnataka Chief Minister B S Yeddyurappa to top BJP leaders prima-facie appear to be of a doubtful nature and were given by a Congress leader during a raid on him for tax violations. “All efforts have been made by the Income Tax Office concerned to procure the originals of the disputed writings. However, the details about the place and custody of the original writings and, if the original writings exist, are not available,” said Income Tax Commissioner Surabhi Ahluwalia in an official statement. 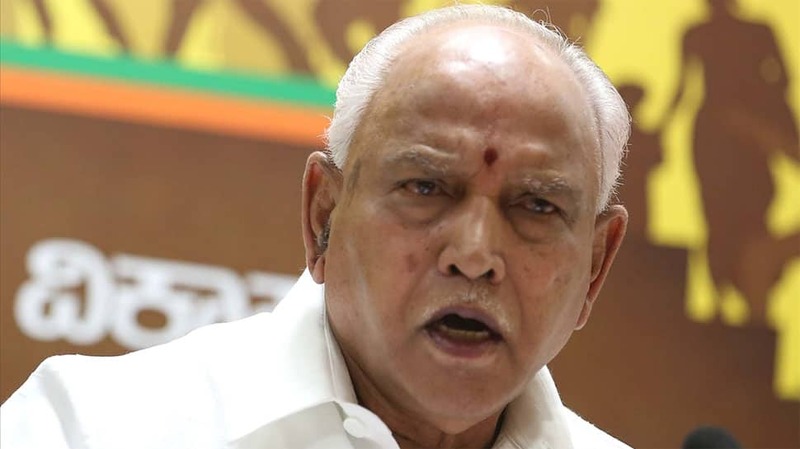 Earlier during the day, the Congress alleged that some top BJP leaders, including Prime Minister Narendra Modi, had received Rs 1,800 crore from Yeddyurappa, who rubbished the charges as “atrocious and malicious” and threatened to file a defamation case. He said that an inquiry had found the documents, cited by the Congress, as fake. “Income Tax Department officials have already probed the issue and found that the documents and signature and handwritten notes are forged. The Congress leaders are apt in carrying out all these atrocious and malicious campaigns. They planted the story in the media to gain political mileage in the coming elections,” the BJP leader said. Ahluwalia said a search action under section 132 of the Income Tax Act 1961 was carried out on D K Shivakumar and group of cases on August 2, 2017 by the Income Tax Investigation Directorate of Karnataka and Goa. A large evidence of incriminating material against him and his company were found. During the search, some loose papers were given to the raiding party. They were a xerox copy of Karnataka Legislative Assembly, Legislator`s Diary pages of 2009 with details of numerical entries against some individual names. The original of these documents was never given. Shivakumar had said this was a copy of diary, written by Yeddyurappa and the payments paid on his behalf to legislators, and received from various leaders, MLAs and ministers when they were in power. On being asked as to how he got possession of the said loose sheets, Shivakumar said that, being a politician, he procures information about other parties, leaders and members and as the said loose sheets contain political information, he cannot disclose the source of information. On November 25, 2017, Yedyurappa said in a statement that he was not in the habit of writing a dairy and that the loose sheets in question were not in his handwriting. He further said that contents of the loose sheets were false and fabricated and his name has been used to malign his political career. He also provided a sample of his handwriting in order to verify the genuineness of the said loose sheets.